Scottish Squash is fully committed to safeguarding the welfare of all participants within the sport of Squash. It recognises the responsibility to promote safe practice and to protect all, especially children and vulnerable adults, from harm, abuse and exploitation. A number of policies currently offer members guidance on how to work together to embrace difference and diversity and respect the rights of all involved. Scottish Squash have a Child Protection Policy which outlines our commitment to safeguarding and protecting Children and Young Adults. A copy of our policy, Child Wellbeing & Protection in Squash Guidance for Clubs, can be accessed here. Under the Protection of Children Act (Scotland) it is an offence for an organisation to knowingly employ (paid or unpaid) a person to work with children if the person is on the ‘Disqualified from Working with Children List’. The only way a club/organisation can find out if a person is on the list is to check their current membership of the Protecting Vulnerable Groups (PVG) Scheme prior to them undertaking any activity. Scottish Squash recognises the importance of the activities and actions completed, on behalf of the sport of Squash in Scotland, by employees, consultants, Management Board members, officials, volunteers, players, competitors and spectators/supporters. 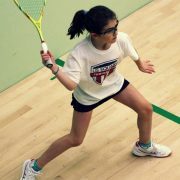 Scottish Squash also appreciates the importance of setting a good example of conduct, especially to young people. Details of Codes of Conducts for Members and Coaches, as well as other relevant policies, can be found in the About Us section of the website.